This makes me wonder if this is just a depiction meant as an imaginary scene and purely symbolic, or if there were actual sphinxes built at Amarna? In Luxor there is an avenue of sphinxes, would Akhenaten have built something like that? Or could he have erected a sphinx a la Giza (even is small form) with his own face? 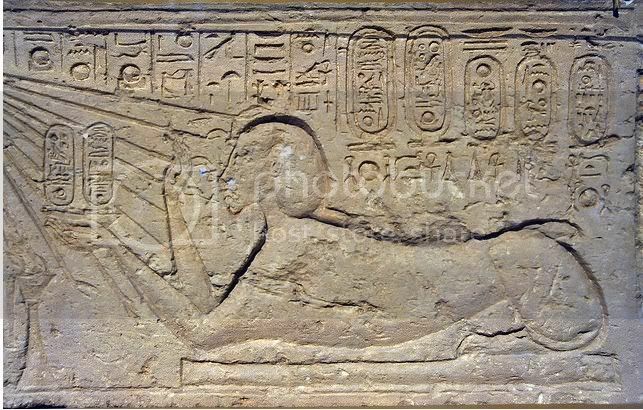 I have never heard of any remnants of a sphinx found in Amarna, or even associated with any of his structures at Karnak. He commissioned other large sculptures. 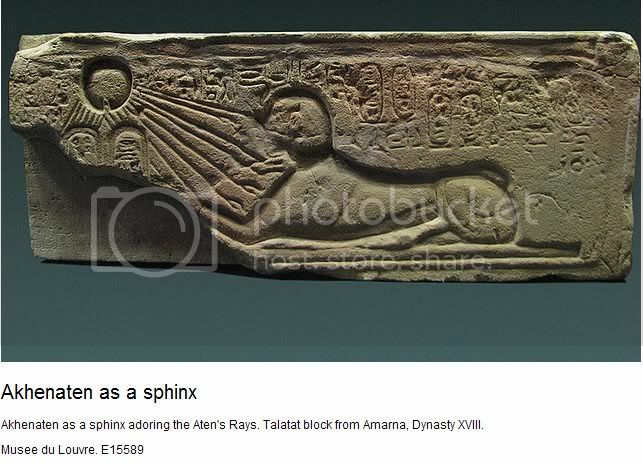 Anyone ever heard of a sphinx from the time of Akhenaten? Anyone ever heard of a sphinx from the time of Akhenaten? An entire avenue of sphinxes once bore the heads of Akhenaten and Nefertiti. During the reign of Tutankhamun the heads of Akhenaten and Nefertiti were decapitated and ram heads were substituted. 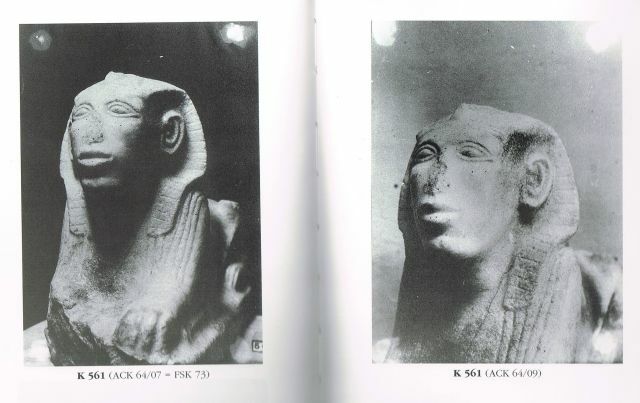 The altered crio-sphinxes had proctecting figures of Tutankhamun, with later names of Ay, Horemheb, Sethos II and Herihor. The Great Aten Temple, before any construction was set up, before the temenos wal was built, there must have been some foundation ceremony, perhaps out in the desert where the Sanctuary now stands. As an approach to this temporary gateway was set up, resting on four heavy oblong bases just inside where the main entrance now lies. “From here an avenue of sphinxes, two deep, led eastwards”. But they were later replaced by trees (tree pits, some still containing tree roots, have been excavated). The avenue led up to a small mud-brick shrine which was later built into the main design scheme of the Temple. The central city and the official quarters. The excavations at Tell el-Amarna during the seasons 1926-1927 and 1931-1936, by J. D. S. Pendlebury. Some of these blocks are in the Louvre museum, Brooklyn museum and in Geneva. is in the Thalassic Collection, courtesy of Mr. and Mrs. Theodore Halkedis in New York. Thanks for the detailed reply Rozette. And the images! I had not realized it was that common of a scene to be depicted. 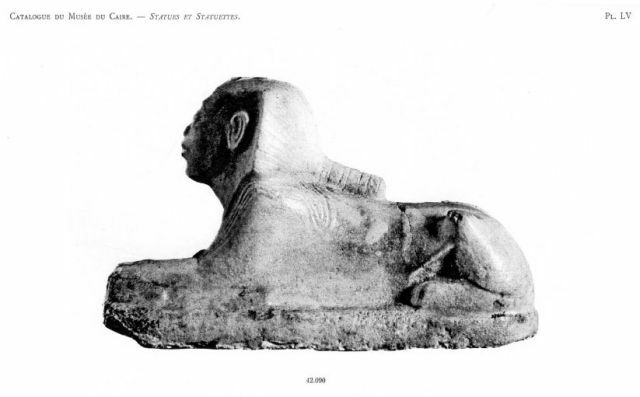 I guess the Sphinx was worshipped as the representation of Horemakhet (representing Atum?) by the time of Tuthmosis IV. 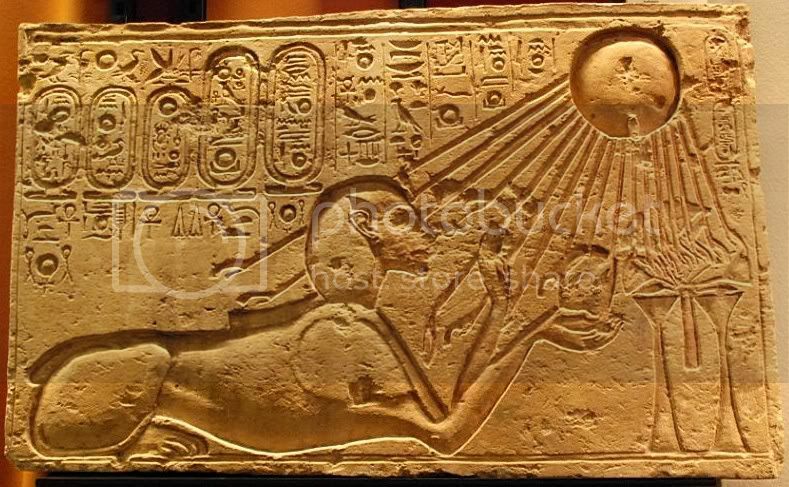 But you mention that the king (Akhenaten) is linked through this traditional imagery with the sun god as he rises in the east, or Re-Horakhty That makes sense considering the solar god(s) preferred by Akhenaten. 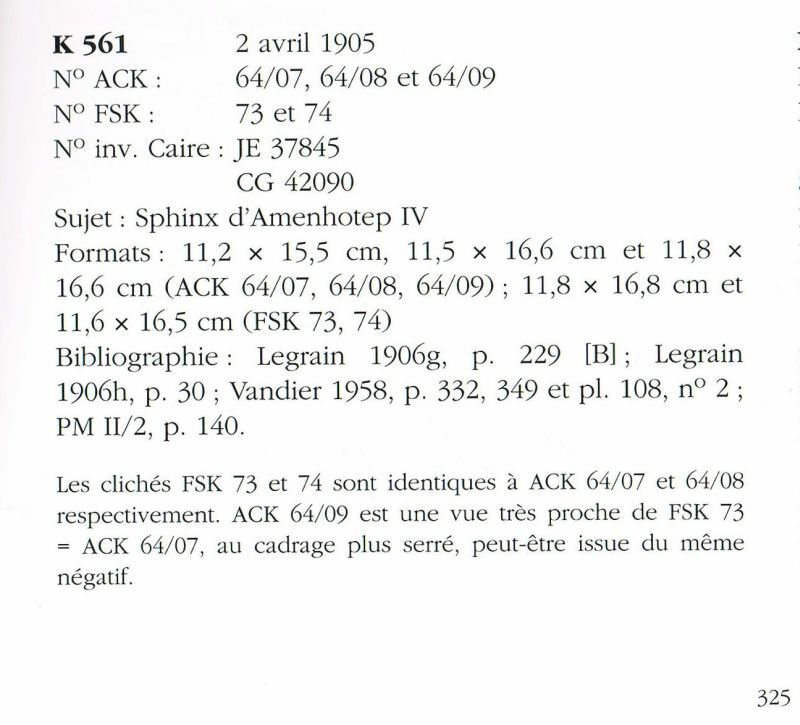 Michel Azim / Gérard Réveillac : Karnak dans l'objectif de Georges Legrain : catalogue raisonné des archives photographiques du premier directeur des travaux de Karnak de 1895 à 1917. - Paris : CNRS Ed., 2004. - Vol. I: Texte. 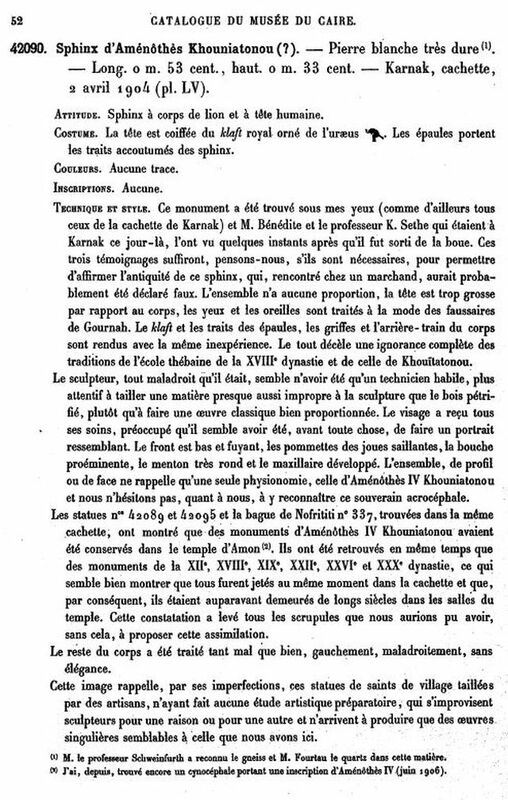 - XXI, 413 p., Ill. - Vol. II: Planches. - VIII, 335 p., only Ill.
Well I don't know but ... when tuthmosis IV uncovered the Spinx didn't he relate it to the solar deity ra horakhty - a composite deity consisting of numerous other ones ONE WHICH was the Aten? 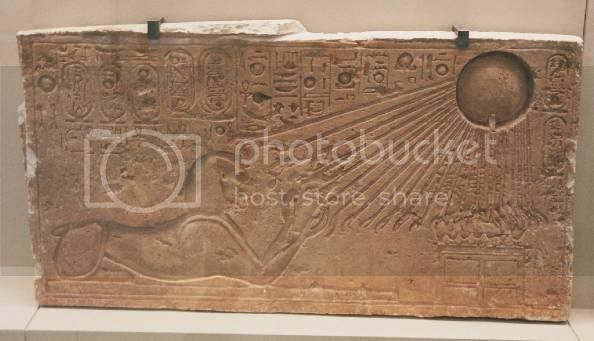 (In one of the Aten's earliest forms) so with the evolution and development of Atenism over the following years maybe at some point Akhenaten might have wished to established the Aten as the dominant one of these deitys making up ra Horakhty/the spinx? grr can't edit my brutal spelling! 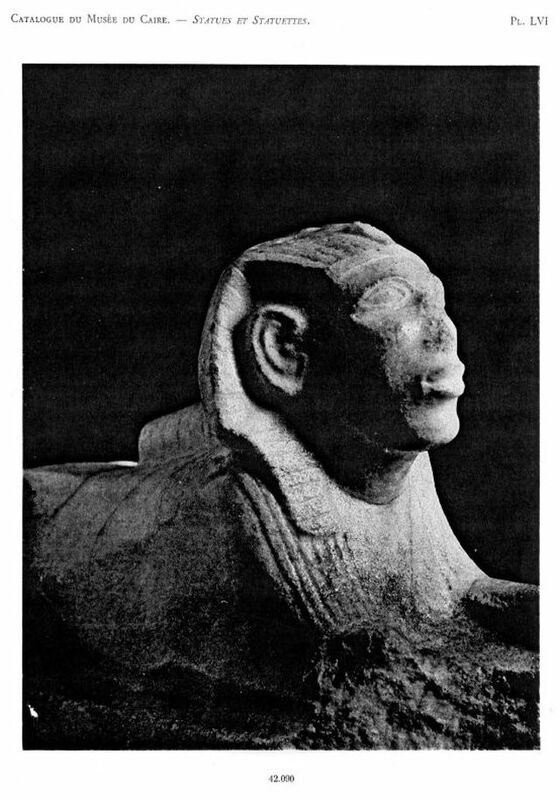 Besides Amarna and Giza are there any other sites that have the sphinx sculpted? 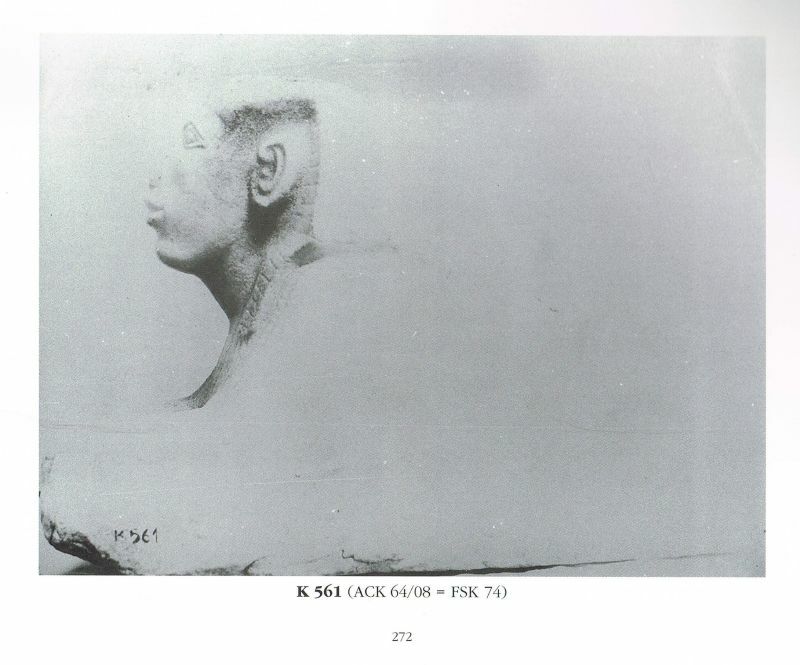 I think Khafre was the one who commissioned the large sphinx at Giza. Are there any other places where kings or queens are associated with sphinxes? Yes, many. 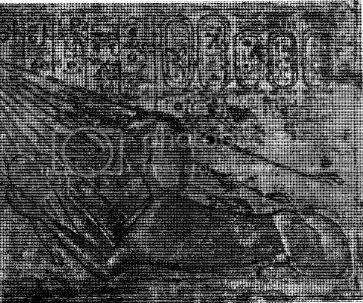 One of the earliest is from the 4th Dynasty, from Abu Roasch, reign of King Djedef-Ra. An female sphinx from his memorial temple. 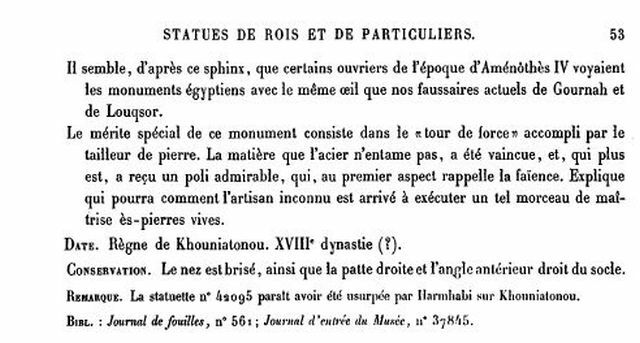 There are statues with lion's body and human head all over Egypt and Nubia ... See for examples Auaris (from the MK, 12th Dynasty, Hawara ---> reused by Hyksos kings ---> in the NK reused in Piramesse and later in Tanis), Karnak or Soleb (Amenhotep III, 18th Dynasty). Christiane Zivie-Coche : Sphinx - History of a Monument. - [Translated by David Lorton]. - Ithaca (NY): Cornell University Press, 2002. - ISBN : 0801439620. - XVI, 122 p., 18 figs [map, plan, ills].